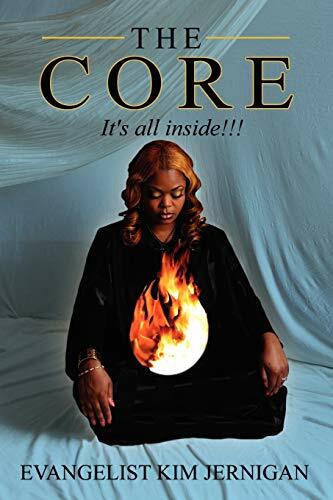 Home Kim Jernigan THE CORE: It's all inside!!!! THE CORE: It's all inside!!!! Title: THE CORE: It's all inside!!!! W ho is sitting on the throne in your territory? Have you occupied the territory or have you allowed Satan's clever devices (confusion, debt, unforgiveness, rejection, etc.) to develop strongholds blocking the path? Have you activated the power God invested in you to live your life in abundance? Well, if your answer is no, then it is important that you pick up your sword and charge against everything that has stopped you. After reading "The Core", it is imperative for you to understand that:1. God has given you everything pertaining to (your) life and godliness: You've got more than enough on the inside of you.2. Greater is the force of God within you than the force of the enemy in the world: You've got to call that force within you forward.3. He who began a good work in you will carry it on to completion: Everything you have experienced is connected to your purpose and God will reveal it to you at an appointed time.4.Though you have not achieved perfection, you have the power to Press-On:You've got to examine your past and then Press past it.5. The peace of God, which exceeds all understanding, will guard your hearts and your minds in Christ Jesus: Once you make up in your mind to pursue deliverance, you will experience unexplainable and liberating peace and joy!! Kim Jernigan, a native of Atlanta, Georgia, represents those whom have been healed and delivered from the wounds of past abuse, violence, and personal sin. She is motivated by her passion of introducing the power to prevail that lies within each of us. Her compassion is directed towards young men and women who are currently experiencing abuse. In addition, through her transparency, those who are consumed by regrets of past sin and abuse receive the empowerment necessary to begin healing and pursue liberation. Kimberly travels speaking locally and internationally sharing her message concerning "The Core". To know Kim Jernigan is to experience life filled with purpose, passion, and the pursuit of destiny.